Throwing an effortlessly chic, glamorous, themed house party has never been easier, thanks to the Happy Concept Group (HCG). Meet Happy Ongpauco-Tiu. She is the mastermind and chef behind the group, who thrives of off creativity and excellent food. Ongpauco-Tiu is the restaurateur, and chef-owner of HCG, which has 12 branches to its name, from Pamana, Hawaiian BBQ, Bento Box, WorldTopps, I Love Backyard Grill and My Happy Carts. The list does not end there, as she has also opened a bed and breakfast in Tagaytay, called The Boutique Bed & Breakfast, and a home service slimming clinic called, Slim at Home. Ongpauco-Tiu grew up in and around the restaurant business. Her family owns the much loved local institutions: Barrio Fiesta, Bakahan at Manukan, Singing Cooks and Waiters Atbp., and Isdaan. 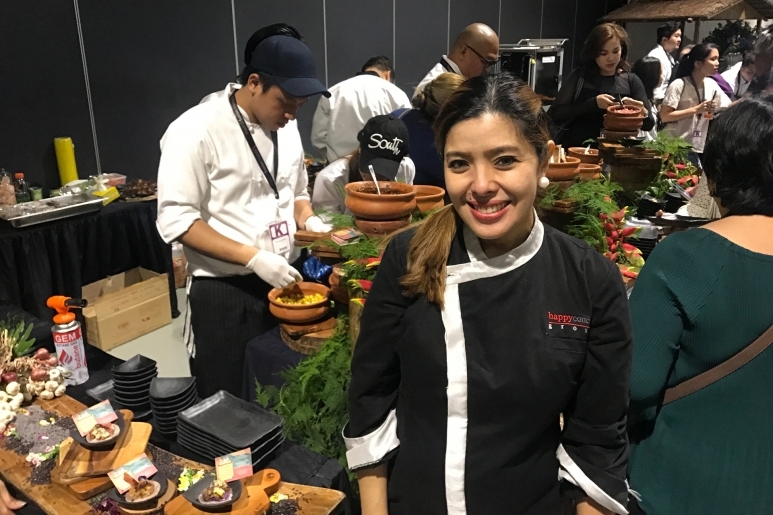 In her youth, Ongpauco-Tiu worked at the family restaurants, learning the ins and outs of the industry. However later on, she decided to go at it alone. Being quite the entrepreneur and risk taker, she started her first business fresh out of college, graduating from the Culinary Institute of America in Napa Valley. “Behind my parents back, not wanting to work for them, I decided to take the leap of faith and maxed out my credit card to open a hole in a wall 20 seater fast food concept, World Topps. Since then, I saved up all my income and revolved it by investing slowly in other concepts – thus Happy Concept Group was born” says Ongpauco-Tiu. The catering arm of HCG is impressive to say the least. 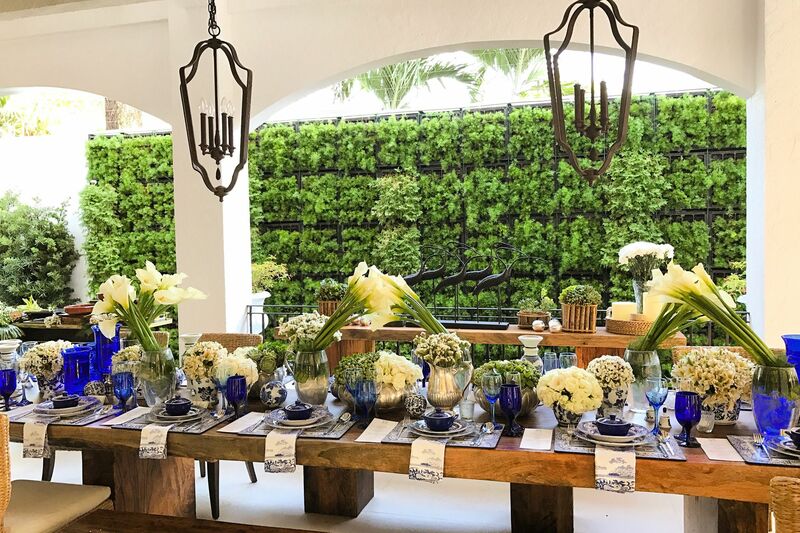 Every spread is decorated meticulously to it’s theme, complete with furniture, opulent floral arrangements, table clothes and accent pieces. This determined, extremely hard working culinary force to be reckoned with is far from done. HCG will be revealing Mom Made, which will prepare ready to eat frozen meals, that are totally free of preservatives. Ongpauco-Tiu’s goal is to make the workweek easier for busy parents, ensuring that every single dish is good enough for your children. Yet another project is The Private Dining Room. Here one can book an entire house to host any special occasion. We cannot wait! PT: Can you tell me a bit about Happy Concept Group? Happy Ongpauco-Tiu: Private Dining by Happy Concept Group specializes in Bespoke Dining and themed Dinners for as little as 2 pax and more. 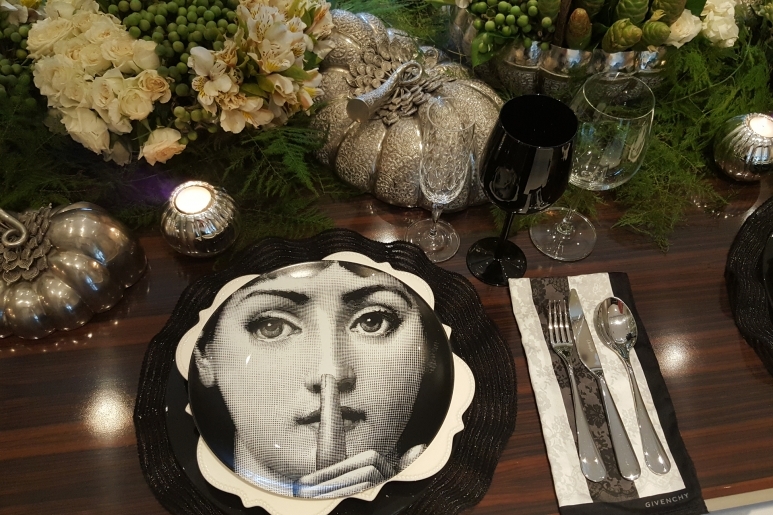 We are also the only caterer that uses a very extensive luxury plate collection like Fornasetti, Limoges, Givenchy, Hermes etc. 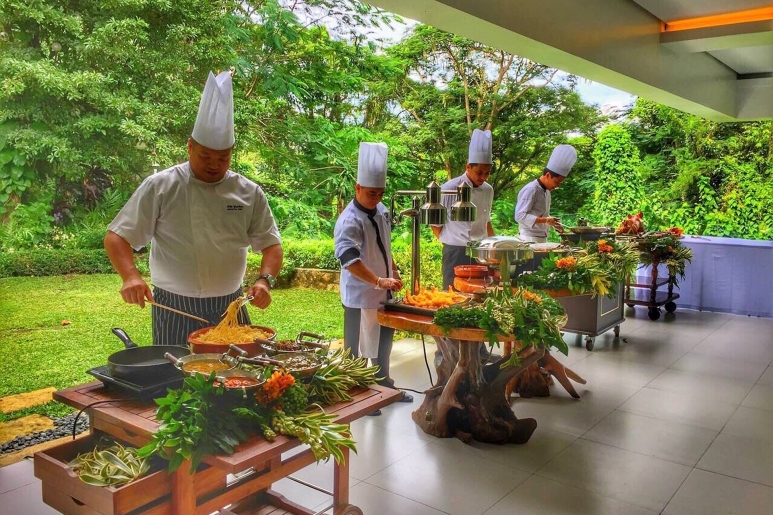 Moreover we don’t only bring the cuisine to you but the whole experience and culture of serving them through our tablescapes, floral set up, private chefs and butlers too! PT: Have you always wanted to be in the culinary industry? If not, what made you pursue it? HOT: Yes, I grew up in this industry. My parents owned a group of Restaurants which was my playground growing up. This honed me into loving everything about the food business. bWhat do you love about food and preparing a meal for others? HOT: It’s always exciting to learn and cook new cuisines – it makes me happy when I see people enjoying my food and the whole experience. PT: What is it about decorating and designing a tablescape or planning out your buffet table, that you love? 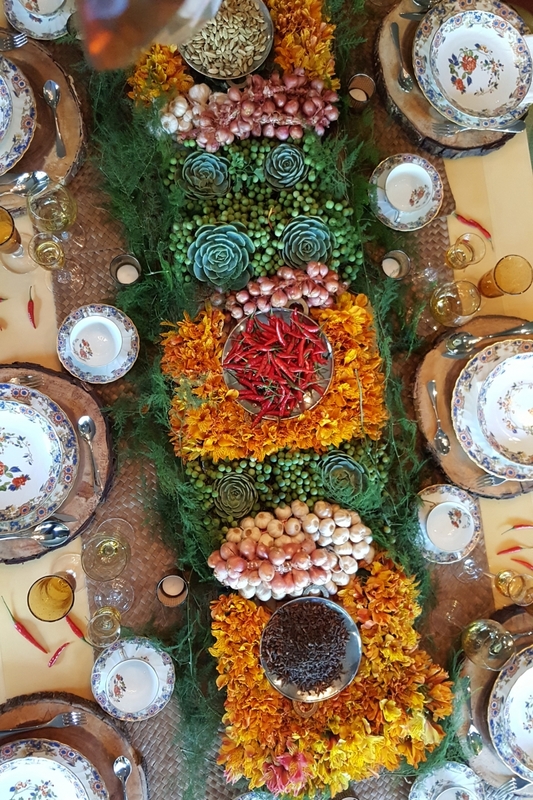 HOT: Decorating the tablescape with the theme of your cuisine just brings the experience to a whole new level as you are not only bringing the cuisine but you bring the whole culture into the table thus making it unforgettable. PT: Why did you decide to begin a catering business? HOT: Actually, my main business would really be the restaurants. 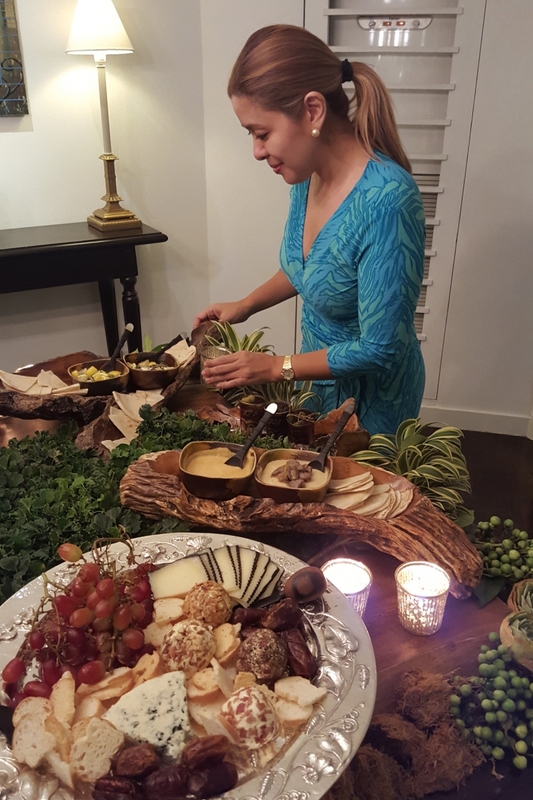 I got into bespoke catering because I loved to entertain at home and love hosting “themed” dinners. I also really enjoy collecting beautiful plateware from each of my travels to complete my many “themed” looks. My friends prodded me to do it for them, to organise dinners. Eventually, word got around and I had a build up of requests to do bespoke dining events for others. Thus Private Dining by Happy Concept Group was born!